We are able to provide expertise in both engineering and video production Project Management, including financial planning, resource scheduling and facility design and integration. EditHouse has supplied project management services to the Australian Broadcasting Corporation (ABC) and the Special Broadcasting Service (SBS). This included the provision of a full-time Project Manager working on contract at the ABC from 2006 to 2010. Projects have included the national replacement of the ABC's production editing equipment and the deployment of automation systems to all ABC News television studios. Each project included establishing an evaluation committee, writing a tender request, negotiating a purchase contract, managing ongoing stakeholder relations, financial tracking and reporting to the ABC executive and auditors. During the relocation of the ABC's television facilities to the Ultimo Centre in 2002/2003, EditHouse provided a Project Manager who planned the production facilities for the digital television channel Fly TV, the music program Rage and the helipad play-out centre for News. 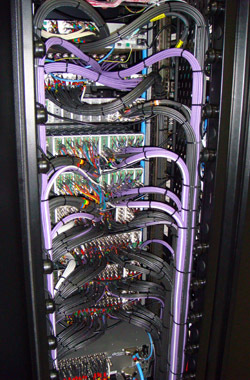 Wiring at the back of equipment racks (circa 2009). 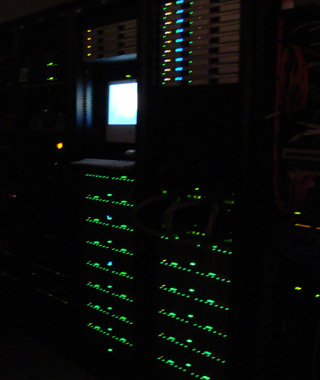 An Apple Xsan in equipment racks (circa 2008).